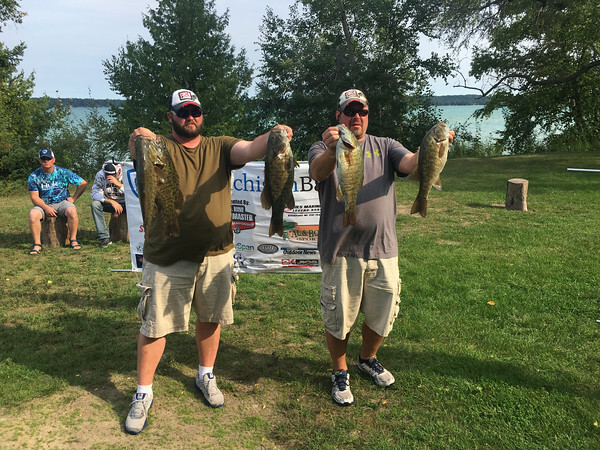 Dan Hatchew, left, and Doug Polasek nearly had the win with this 21 pound plus impressive display of smallmouth bass. They took second place at the tournament. The launch and weigh-in was on Elk Lake. Photo by Doug James.